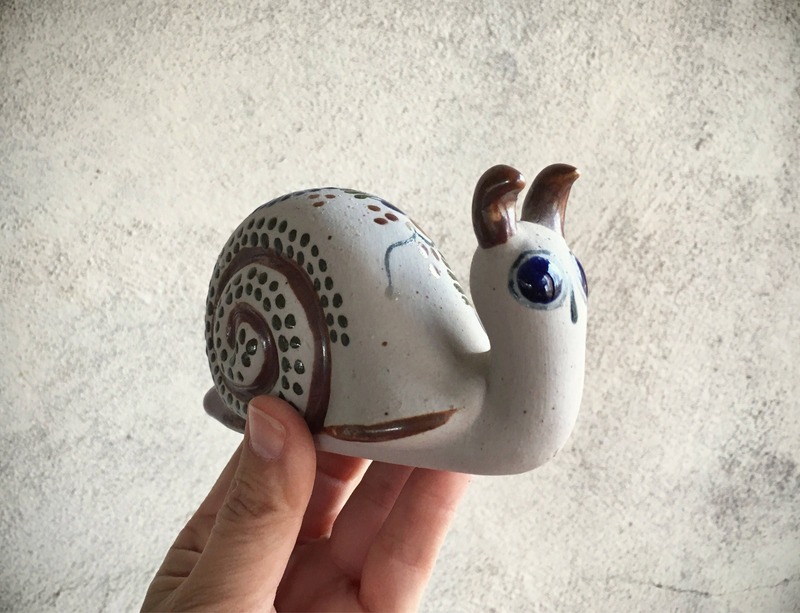 Some times you gotta slow down and enjoy life a bit, which this adorable stoneware pottery snail reminds us to do. 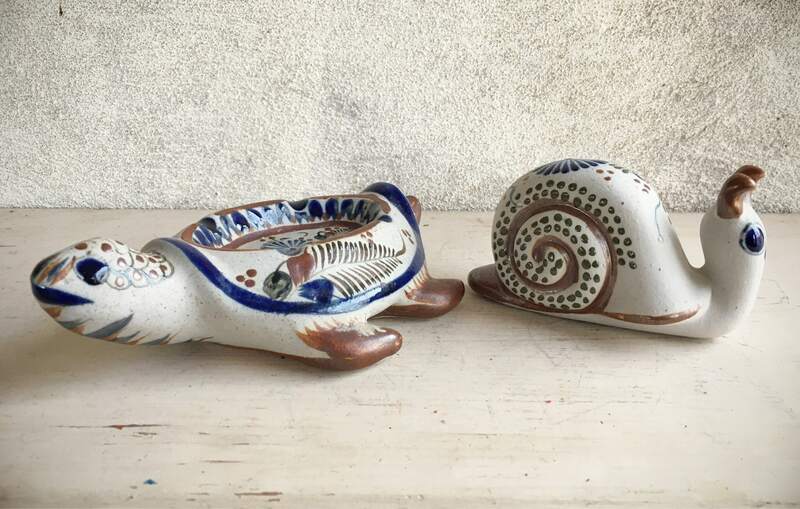 He has traveled all the way from Mexico to be here, and you know how long that must have taken, given his snail's pace. 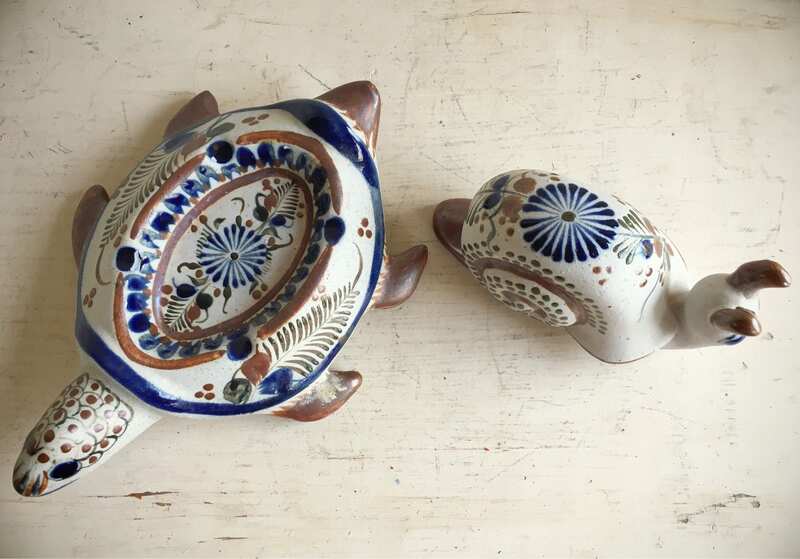 Mexican stoneware is fabulous, the way the painted designs are raised. 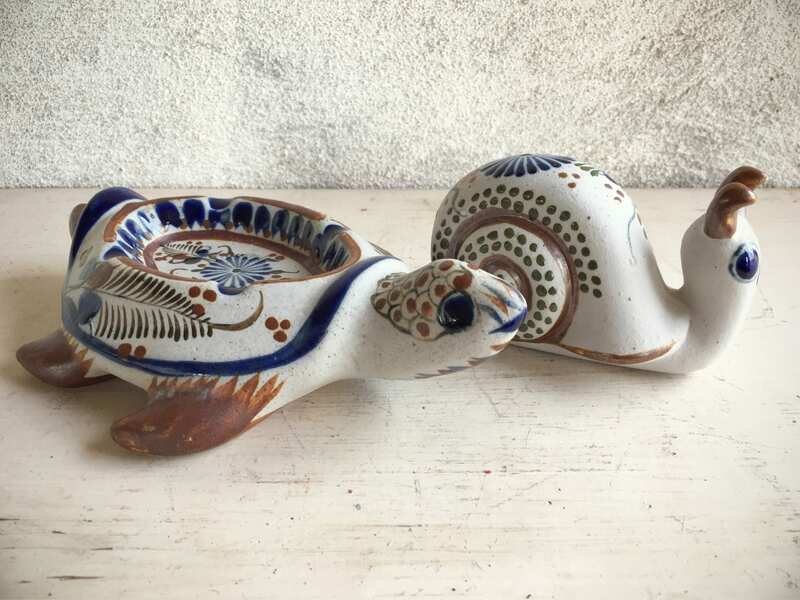 This piece is from the well known Santana family of Tonala. 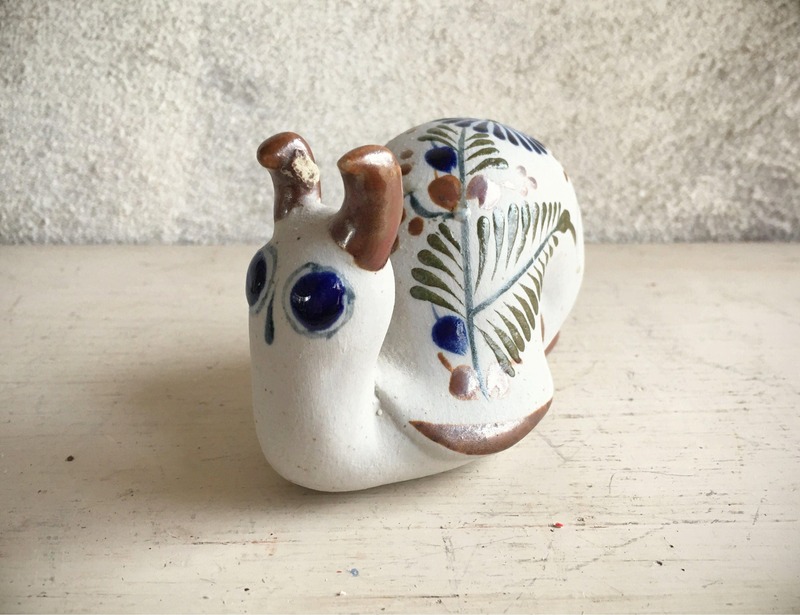 I've collected a lot of Mexican pottery yet this is the first snail I've ever come across. 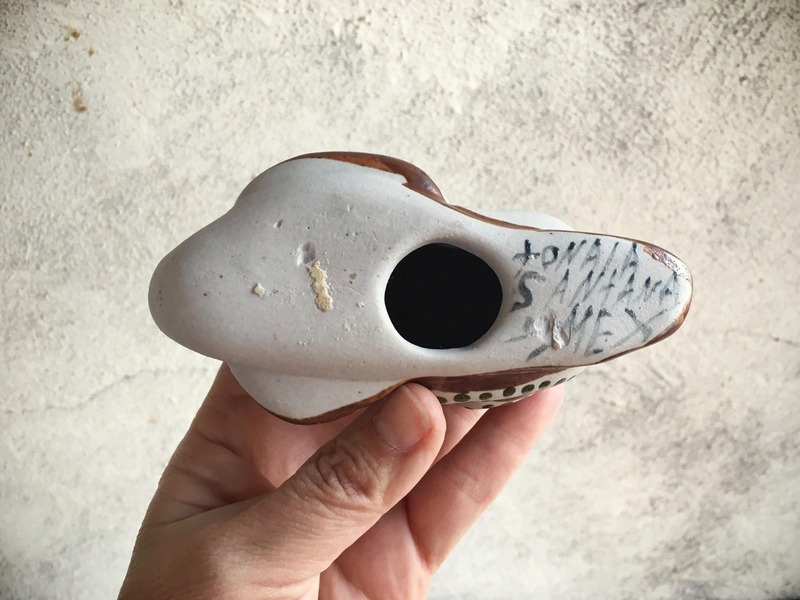 It does have a pre-production flaw in the form of a small glop of stoneware that stuck to one of the antenna. Otherwise is in great condition. 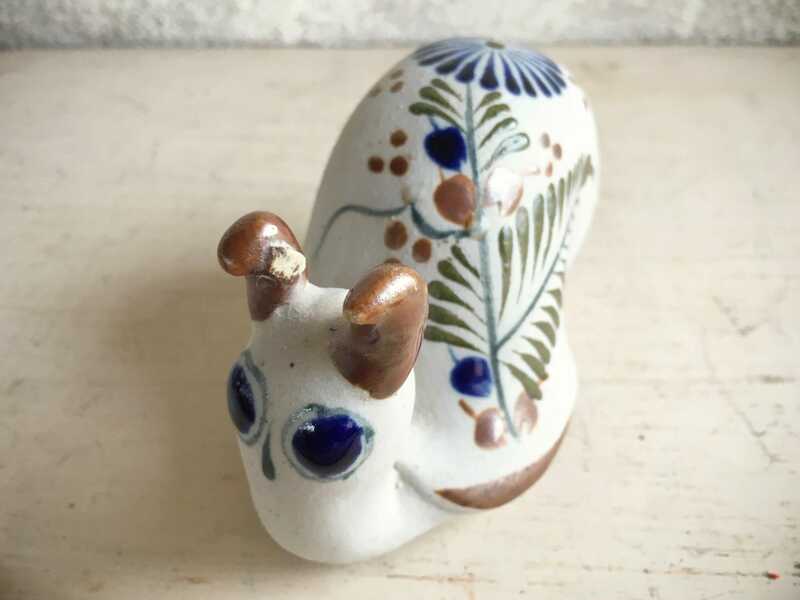 It stands about 3" tall at the tallest point, about 5" wide and 2-1/2" deep. Signed on the bottom. Great gift for the person who either moves slowly or needs to slow down, or for the gardener in your life.